Pupfish-MT7623A Brief | Oolite Device | hello, sincere and open world! MT7623A is a highly integrated network router system-on-chip used for high wireless performance, home entertainment, home automationand so on. MT7623 is fabricated with advanced silicon process and integrates a Quad-core ARM® Cortex-A7 MPCoreTM operating up to 1.3GHz and more DRAM bandwidth. 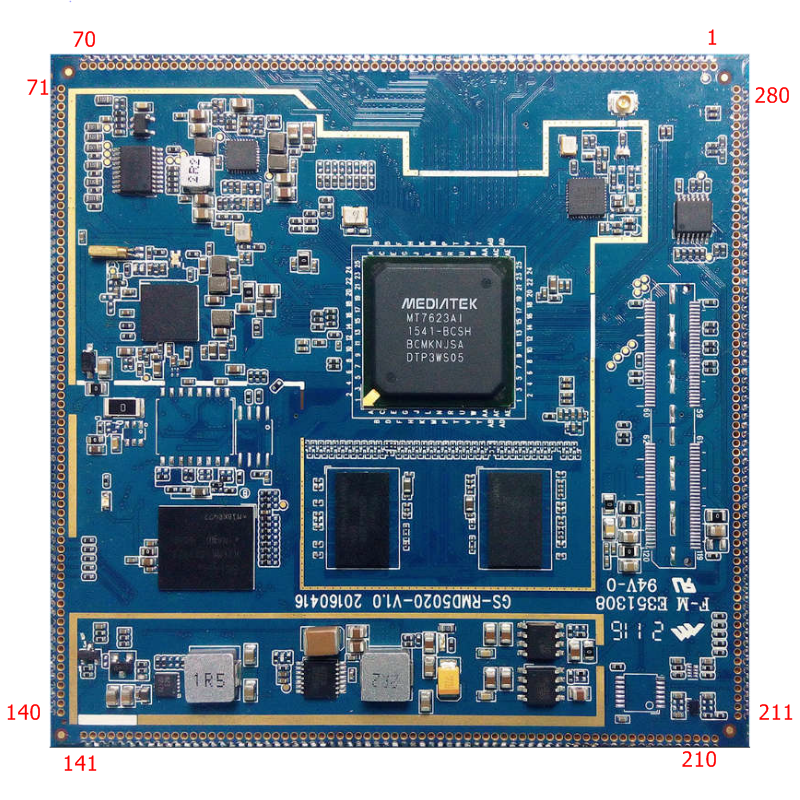 This SoC also includes a variety of peripherals,including MIPI, RGMII, PCIe2.0, USB2.0 OTG ,USB3.0 ports, and 5-port GbE switch. To support popular network applications, MT7623A also implements 10/100/1000 Ethernet RGMII interface, embedded a 5-ports Giga switch and supports 802.11ac/n WLAN connection thru its PCIe port. MT7623A includes two wireless connectivity functions, WLAN, Bluetooth. The RF parts of those two blocks are put in the MT6625L chip. 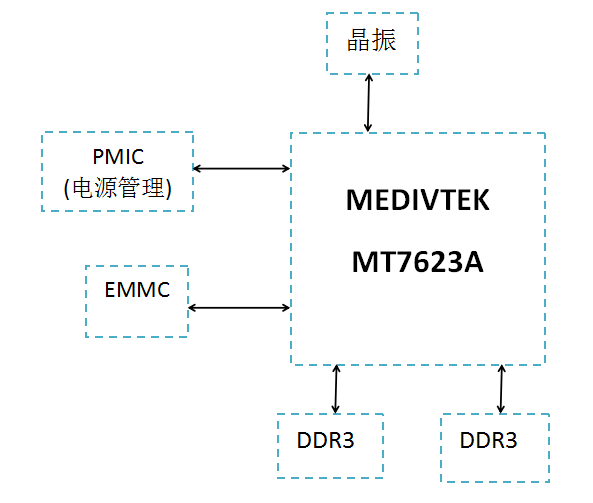 With two advanced radio technologies integrated into one single chip,MT7623A/MT6625L provides the best and most convenient connectivity solution among the industry.MT7623A/MT6625L implements advanced and sophisticated Radio Coexistence algorithms and hardwaremechanisms. Besides the connectivity features, the hardware-based NAT engine with QoS embedded in MT7623A transporting the audio/video streams in higher priority than other non-timely services also enriches the home entertainment application. The SFQ separating P2P sessions from audio/video ones so that MT7623A guarantees the streaming service.With the advanced technology and abundant features, MT7623A is well positioned to be the core of nextgeneration Smart WiFi AP router, and home gateway systems.  16 hardware queues to guarantee the min/max bandwidth of each flow.  Seamlessly co-work with HW NAT engine.  SFQ w/ 1k queues. Note that pin sharing w/ eMMC4.5. The 2nd chip select is by pin sharing.